New Age Mama: All You Can Eat Pancakes are back at IHop! All You Can Eat Pancakes are back at IHop! IHOP® RESTAURANTS, THE BRAND THAT BROUGHT YOU BREAKFAST ALL DAY,BRINGS BACK “ALL YOU CAN EAT PANCAKES” BEGINNING JANUARY 4! Begin the Year Right with IHOP Restaurants’ World Famous Buttermilk Pancakes— As Many as You Want, Morning, Noon and Night! This January, IHOP restaurants are helping breakfastarians achieve their New Year’s resolution – to eat as many of IHOP restaurants’ world famous, freshly made for you buttermilk pancakes as often as they wish, any time of day – by bringing back one of the brand’s most popular and beloved offers, “All You Can Eat” pancakes. And, because IHOP restaurants believe that guests should be able to have it their way, they can make thisoffer even sweeter by finishing each stack of pancakes – including each additional short stack – with theirfavorite fruit topping for one additional cost. For over 57 years, International House of Pancakes, LLC has been a leader, innovator and expert in all things breakfast, any time of day. The chain offers 65 different signature, fresh made-to-order breakfast options, a wide selection of popular lunch and dinner items as well as meals under 600 calories. IHOP restaurants offer guests an affordable, everyday dining experience with warm and friendly service. 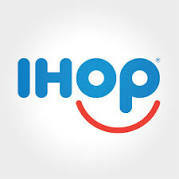 As of September 30, 2015, there were 1,667 IHOP restaurants in 50 states and the District of Columbia, Puerto Rico, the U.S. Virgin Islands, and Guam as well as Canada, Mexico, Guatemala, the Kingdom of Saudi Arabia, Kuwait, the United Arab Emirates, Bahrain, Qatar and the Philippines. IHOP restaurants are franchised and operated by Glendale, Calif.-based International House of Pancakes, LLC and its affiliates.International House of Pancakes, LLC is a wholly-owned subsidiary of Dine Equity, Inc. (NYSE: DIN). Who doesn't love a big stack of pancakes? We enjoy when IHop has all you can eat pancakes. This last time we went, my son and husband decided to see who could eat the most pancakes. They each tied with 5 pancakes, but the hubby takes the win because he also enjoyed a combo with his of bacon, sausage, eggs, and hashbrowns. The pancakes were as delicious as expected. A nice fluffyness to them, with warmed butter and syrup. Our service was great that evening. But most of all, I enjoyed the family time with ever disconnected and having some delicious pancakes. If you've never had All You Can Eat Pancakes before, give it a try. You have the option of just getting the pancakes or adding a combo on of other food. My son started out with a plate of 5 as he opted for just the pancakes. My husband started with a plate of 3 then added another plate after.